Children in daycare environments need to be offered a variety of activities and games that stimulate their intellects, spark their imaginations, promote good health, boost their self-esteem, and of course, are fun! Kids of preschool age and beyond should be given access to books and other learning materials that will support their education, and children of all ages should be surrounded by caregivers who prioritise teaching. Parenting is a very difficult job and working parents need to be assured that when they place their children into the care of staff members at nurseries, the kids will be enjoying a number of age appropriate activities. Even the youngest children need to be engaged in meaningful activities while at nurseries. Babies and toddlers are learning about the world around them and therefore should be surrounded by loving caregivers who understand the value of reading books, singing songs, and incorporating movement into the lives of young children. Babies often enjoy being held, rocked, and talked to, especially when their carers use expressive voices and faces whilst interacting with them. Today’s kids are at risk for a variety of health problems due to the fact that many of them not only eat diets that are nutritionally deficient, but live mostly sedentary lives, as well. Childhood obesity is at an all time high and studies show that overweight children are at an increased risk of developing heart disease, diabetes, and even some types of cancer compared to peers who are at healthy weights. Additionally, carrying extra weight can impede children’s social development and have a negative impact on their self-esteem. Teaching children to enjoy physical activity and incorporating exercise into their daily lives can help them to be healthier in both the short and long term. Kids should be provided with opportunities to run, jump, climb, and play at several intervals throughout their day, with older kids being encouraged to participate in organised games and sports. 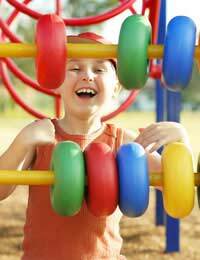 Children learn a great deal about how to interact with others whist they are in nurseries. By preschool, many have developed important first friendships and are learning to value and appreciate the company of others. Care providers can encourage children’s social development by engaging them in group games and craft projects, seating children together for meals and snack times, and choosing activities that promote creative play. For older kids, teachers and helpers at nurseries can help kids to develop compassion and understanding for others by reading books and leading discussions about emotions and behaviours. It’s important for kids to have fun at daycare, but some of their time there should be spent on activities that support their intellectual development, helping them to do well from an academic standpoint. Education is a big part of childhood and kids who are encouraged to prioritise learning will reap the rewards both in school and in the outside world. Caregivers should do all that they can to incorporate lessons into many of the activities in daycare situations, even those that do not appear to be “educational” at first glance. For example, planting and tending a vegetable garden may seem like to children, but by engaging in such an activity, kids can learn a great deal.